Celebrate the 10th anniversary of the Brave Vesperia guild. Take Repede, Estelle, Rita, Karol, Judith, and Raven with you on the go or complete the set with Yuri, Patty and Flynn in the Tales of Vesperia: Definitive Edition - Anniversary Bundle. 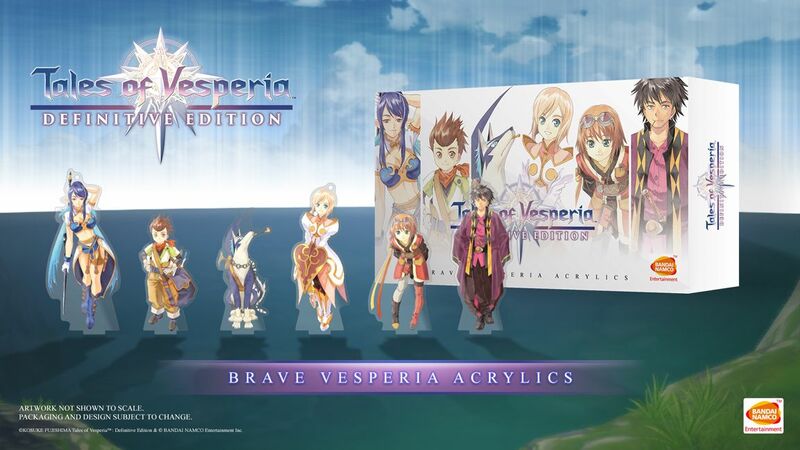 Bundle features 6 original character designs of Repede, Estelle, Rita, Karol, Judith, and Raven in a 4mm thick acrylic standee and keychain. 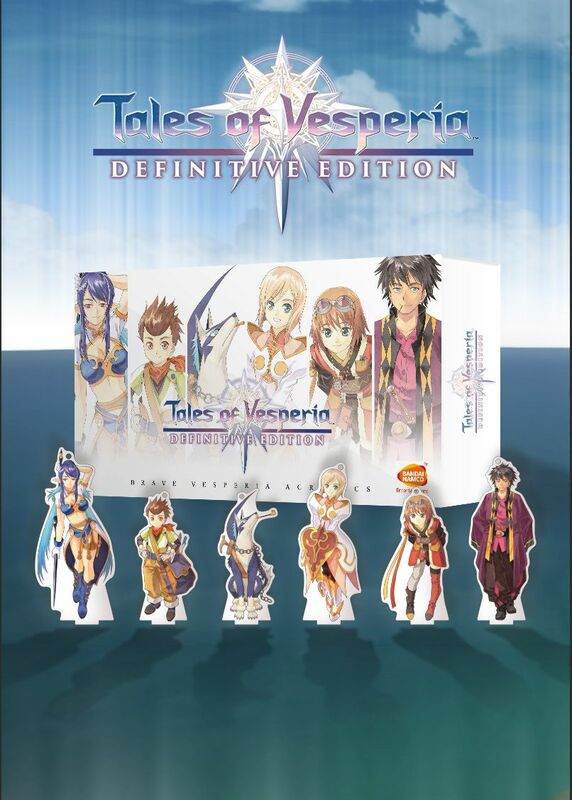 Collect them all to display in the exclusive Tales of Vesperia diorama stage.